Flatter your figure and rock this corset dress 27592 for your social occasion. 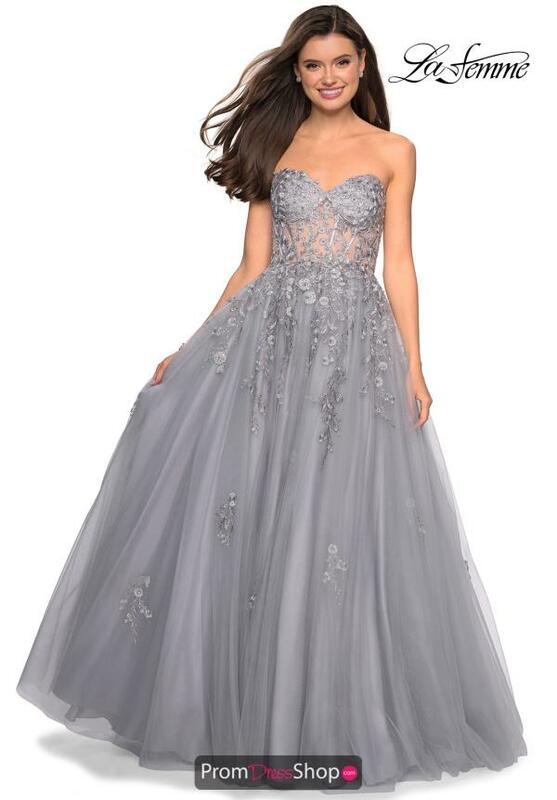 This dress showcases a strap less sweep heart neckline, with a see through fitted bodice, with hand sown beading and applique throughout. 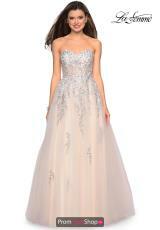 Flowing into a tulle made a-line silhouette skirt with lace applique that trickles from the bodice to the skirt.